How long can I survive without air? – Approximately 3 minutes. I find it ironic. I have done numerous 30 day challenges focusing on what I consumed. Yet, I had spent almost no time thinking about how I breathed. I initially assumed breathing was just something that is done automatically, like a heartbeat, it kind of took care of itself. Getting fitter and healthier helped, but that was about it. That was until I found the Oxygen Advantage and increased my BOLT score 6 fold in only one month, improving my health and general well-being. I remember in the mid 1980s my father racing around Port Elizabeth, South Africa. He was desperately trying to find a respi-neb (respiratory nebulizer for severe asthmatic attack sufferers) to help me survive a particularly bad asthma attack. With asthma, I couldn’t breath properly. I have allergies to feathers, dust and pet hair, amongst other things. We knew this, the severity of my allergies wasn’t clear until the 1990s when I had my blood tested. I was off the scales. On reflection it saddens me how many people treat allergies like a preference, they can be truly debilitating. With allergies, I couldn’t breath properly. After my final year of high school drew to completion in 2000, most of my friends went partying. I went to get nose surgery, to repair my nose. Something that could only be done effectively once I was 18. When the doctor asked what happened, I mentioned I had got a couple of elbows in rugby and maybe a cricket ball or two to it. After inspecting it closer he remarked, I think you have underestimated the trauma this nose gone through. Oh. It was broken, with one nasal passage virtually completely cut off, one just restricted. With a broken nose, I couldn’t breath properly. All this wasn’t a problem in my mind. After all, I could get far more air through my mouth than nostril. Over time, I out grew my childhood asthma; I took “control” of my allergies through avoidance, anit-histamines and nasal sprays (although I plan to experiment with over-coming my allergies later in the year, focusing on what my body does differently, rather than just treating the symptoms); and I also had my nose repaired. With over coming asthma, allergy treatment and nasal reconstruction surgery, I thought I could breath properly. It is only now that I am sharing my experiences that I realise what bad shape I was (am) in, as one layer of self-denial is peeled away, another issue is revealed. As I have read, experimented and challenged myself, I have realised how much I can change. The colloquial generalisation of “People can’t change” should rather be “People don’t change.” A lot of what I have found is anecdotal, perhaps even some pseudo-science, but I will explain as best I can of what has worked for me as I attempt rudimentary efforts to piece it together retrospectively. By fluke, coincidence or science? – Probably a combination, I don’t care, it is the result that matters. I knew my breathing was shallow. I had always assumed breathing was something done in the chest, after all, that’s where my lungs are. My breathing involved the raising of my chest or more specifically the rib cage. My initial investigations led me down a path to learn that this requires the most effort, so least efficient, as it required lifting the rib cage. A preferred method is breathing “through the stomach” or perhaps more descriptively, allowing air into expand in the stomach. I explored various yoga teachings and meditative classes. Through these I developed a six phase breathing sequence to re-train my breathing capabilities. The stomach – expanding air towards the belly button. The side – towards the bottom of the rib cage, opening the rib cage. The middle – lifting the bottom of where the rib cage meets. The rib cage – lifting the chest outwards. The shoulders -lifting the chest up. Deep breath – allowing the remaining enlarged lung capacity to expand. I was shocked by the amount of capacity I had. I had been limiting myself to a combination of 4+5, when I wanted to take a “deep” breath. I spent time meditating on my breathing. Training myself. Exploring, experimenting. It felt much better, but I wanted more. I then read the Oxygen Advantage. Based around the Buteyko method, it argues that there is a negative feedback loop between your body and the levels of oxygen. It is more complex than my explanation and I have no idea if it is right, but according to my understanding, if there is too much Carbon Dioxide, then the body sends a signal that more oxygen where needed, so having too much oxygen paradoxically reduces oxygen utilised. The BOLT score is basically how quickly your body craves oxygen when it is deprived. Given that when I scuba dive, I am the first to finish my tank (even though I asked for extra), I should I known that I liked oxygen. I didn’t realise how much, until I got my BOLT score. It is tested by holding your breath for a minute or so and noticing how your body indicates that it is craving oxygen, the sensation is apparently variable from person to person. Once you are familiar with and can recognise when your body is sending you those signals, you can get your BOLT score. This is done when you are at rest, by holding your breath again and timing how many seconds it takes before your body starts giving you the signals that it wants you to breath, the BOLT score is the time taken between holding your breath and those first indications. For elderly and sick, it is typically 0-10 seconds, for the average adult, it is about 10-20 seconds, then 20-30 for fitter people and above 30-40 is the target. Mine was 3.5 seconds! Less than 4 seconds, the low range of elderly and sick. Lunch time walk – Mouth closed (yes, I realised I always walked with my mouth open), holding my breath for 10 steps, then breathing through my nose. Not fighting the urge, just resisting it. If I needed to gasp for air, I had pushed myself too far. Slowly I upped it to 30 steps. 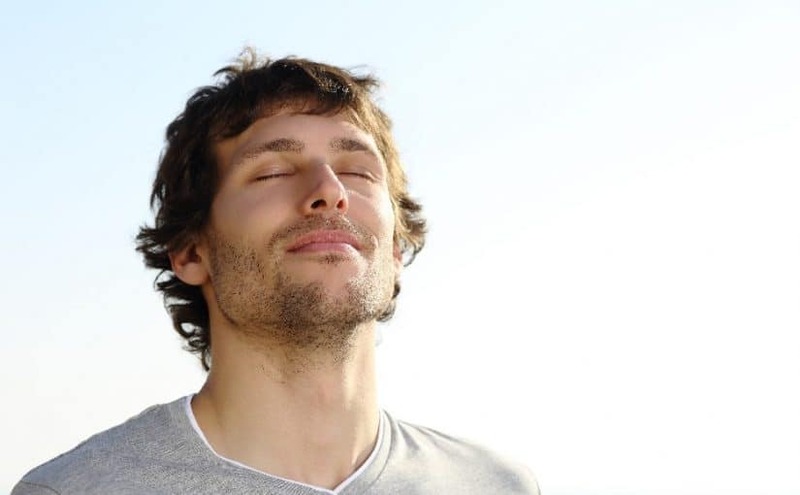 Night time breathing exercises – “Breath light, to breath right”, each night I spent a few minutes focusing on breathing lightly into my stomach (least resistance), trying for my breath to be almost visibly imperceptible. Taping my mouth with 3M porous tape – Taping my mouth to train myself to learn to breath through my nose again, at first this was very uncomfortable, but I got used to it. Lasting longer and longer through the night. I weirdly, still tape my mouth most nights. It’s kind of like a seat belt, uncomfortable at first, then uncomfortable not to. It’s difficult to describe, but I physically feel better when I have slept with my mouth taped. I have three decades of mouth breathing to overcome. I think it’s because, breathing through my nose keeps the nasal passages clearer and filters the allergy carrying air or maybe it’s because less air and the negative feedback thing, maybe placebo. I don’t know, but I know it works for me, that’s what I care about. After 30 days, my BOLT score had risen to 18 seconds. I’m no longer considered sick or elderly. Yay! – I feel stronger and get sick less frequently, and less sick when I do. This is likely to be a combination of factors, but considering I can only go 3 minutes without breathing, I am convinced the Oxygen Advantage is one of them. I plan to circle back to for the next phase of exercises later this year. For now my prioritisation and focus is elsewhere. This has reinforced my personal development philosophy of prioritisation, focus, doing the right things consistently (habits) and utilising the power of compound effect.